Let’s play a little game of pretend. Picture with me that your emotional life is lived on a ladder. 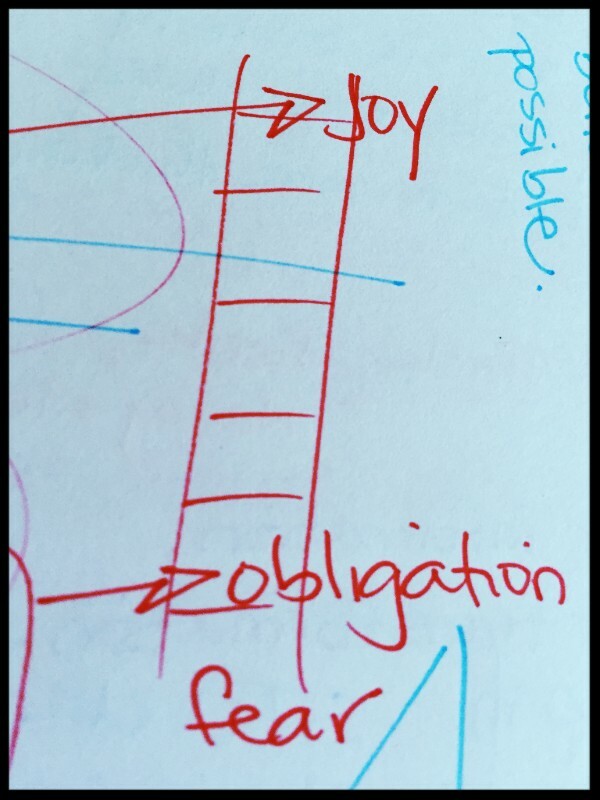 If at the top of the ladder are joy and happiness, then you’ll find things like fear and obligation hanging out at the bottom. The best sales advice I can give you is to sell from the top of the ladder. If you come from a place of fear and worry and needing the sale (bottom of the ladder), then your prospect intuitively knows it and won’t buy. Ever. Move yourself up the ladder. Come from joy and pure service (not a variation on a theme of service) and you’ll astonish them every time.